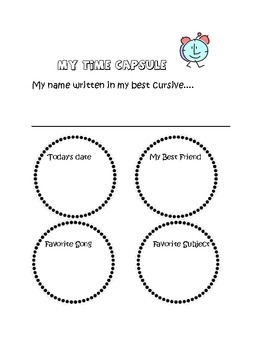 First week of school time capsule for elementary age. Seal them up and open them on the last day of school. The kids love this!